John R. Lee, 69, of Syracuse, passed away January 30, 2019. He was born in Syracuse and was a lifelong member of St. Margaret's Church. He was known as County Car 40 for Onondaga County Radio Repair. 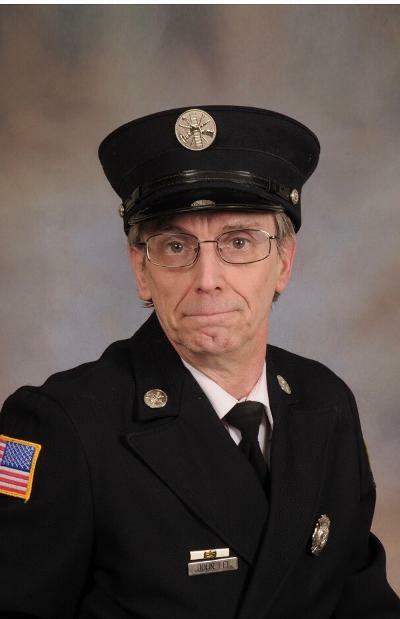 He was a member of North Syracuse Fire Dept. for 41 years and had served as its Fire Chief. He was instrumental in installing the 911 service in Onondaga County. He was employed as an engineer for WTVH Channel 5 and also helped run the Bingo programs at St. Margaret's and St. Daniel's Churches. He is survived by his children, Tommy Lee of Syracuse, Kevin Lee of Syracuse, Michael Lee of Ithaca and Samantha (Stephon) Hunter of Syracuse; his step-children, Tina (Brian) Desai of N. Carolina and Erin Cole of N. Syracuse; his grandchildren, Connor, Trevor, Oliver, Finnegan, Roxie, Aryon and Elias; his siblings, Barbara (John) Kopf of Syracuse and William (Jill) Lee of Hastings; several nieces and nephews. A Mass of Christian Burial will be celebrated Tuesday at 9am in St. Daniel's Church. Burial will follow in Assumption Cemetery. Calling hours are Monday 4-7pm at the funeral home, 209 N. Main St., N. Syracuse.